Working from home as a wife and mom can be challenging on many levels. 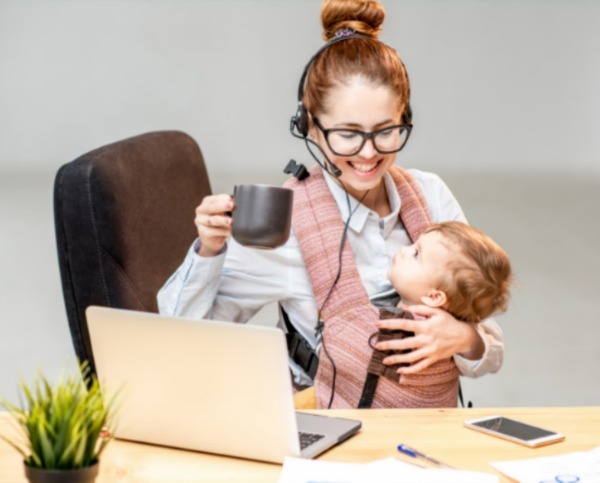 Finding a balance between work life and family life isn’t just a challenge for women who work outside the home; it affects women who work from home as well. I’ve been a work from home mom for a while now and I understand the challenges of that lifestyle. I understand the interruptions when the kids have a day off from school, when a kid is sick, or when your husband is home from the office, or like mine – on summer vacation. That’s why today, I want to give you 12 tips to make working from home easier and more productive. 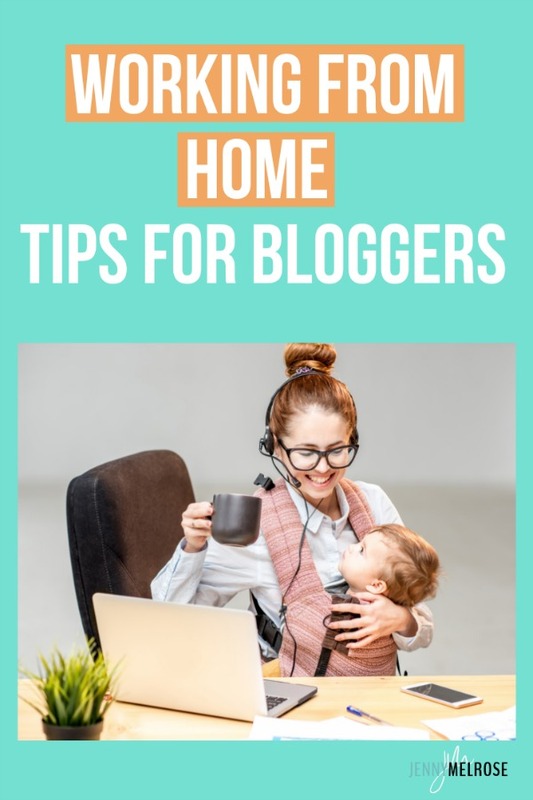 I’ll also be talking about training your family because let’s face it, that will always be one of your biggest challenges whenever you’re working from home. If you followed along with my live event, IEA, which was held in Charlotte, NC, just a couple of weeks ago, I am thrilled to announce that tickets for next year are already on sale! Dates for 2020 are March 31-April 2, 2020. This year’s event was a raving success so why stop a good thing? If you missed this year, you’re going to want to get your tickets early for 2020. We nearly sold out for 2019 and now that we know how successful it was, tickets for 2020 will likely go much quicker. We are currently offering early bird prices, so be sure to grab yours now. When we first moved from New York down to Charlotte and I was a work from home mom for the first time, I was working wherever the mood struck. I didn’t have a space carved out for my work. Sometimes I took the laptop to the kitchen table and sometimes I plopped down on the couch. The problem with this set-up was that there were no boundaries. There was no way for my family to know whether I was working or just fiddling around on the laptop. I had a 3-year old at the time, along with another daughter in school and a husband. Not only was it difficult for my 3-year old to understand, “Mommy’s working”, but it was also a problem when my older daughter and husband were home. It’s not just the family that’s the challenge though; you also need to be able to switch between work and family life. You need to know that when you sit down at your workspace, you are there to work. You can get into the brain space you need to be in to do what you need to do for work. This may sound silly to some but I think it is so important. I’m not saying you have to put on a business suit or stop wearing your yoga pants. What I am saying is that when you get dressed as though you have important work to do, you get yourself into the mindset that you’re going to work. You wouldn’t go to an office in your pajamas; you wouldn’t go out to meetings with bedhead and your face unwashed. Perhaps you have face-to-face meetings with clients, either in real life or virtually. Getting dressed and ready for the day serves to put you in the right frame of mind as you start your day. I think it is hugely beneficial to use apps that help us with our work and one of my favorites is the Pomodoro app. I’m sure many of you are familiar with the Pomodoro technique. Simply put, it is a method of time management where you set a timer for 25 minutes and you are totally focused on your work for that 25 minutes. After the 25 minutes are up, you take a 5-minute break. You then start another 25 minutes and go through the process again. After 4 Pomodoro sessions, you take a longer break, say 15-30 minutes. The benefit of using this technique is that for the 25 minutes you are working, you are laser-focused on the task at hand. No interruptions, no scrolling Facebook, no looking at your emails. Unless your task for that 25 minutes is to clear your inbox. Another app that I love is called Focus at Will. This app is actually a music app that uses certain types of music that are meant to keep you focused. If you’re using an app like Focus at Will, you likely have earbuds in and those are another tip that I recommend. I’m going to let you in on a little secret – I wear earbuds even if I’m not listening to music. Shhh, don’t tell my kids. I have found that when I have earbuds in, my kids automatically assume that I am working, that they shouldn’t interrupt me. I’ll bet some of you do this when you’re walking through the mall. You know, you pretend to be on the phone so those hand cream guys in the middle of the mall don’t try to stop you and sell you their overpriced goods. All I’m saying is that it works with kids and husbands, too. My girls didn’t just one day figure out that earbuds meant that Mom was working. No. I had to train them. We had to have a family discussion about if you come into Mommy’s office and she has her earbuds in, she might be talking to a client or listening to something important. You have to teach your family how to know when you’re working. Figure out some clues that you can give them to know when you can’t be interrupted unless it’s an emergency. For me, it’s earbuds. For you, it might be a closed door or when you’re sitting at your desk. If you work whenever the mood strikes, it’s going to be hard to train your family to know when you’re working and when they can safely interrupt you. If you set aside certain hours for work, your family will learn that those hours are sacred for your work and they will understand that they can’t interrupt you. Having work hours also helps you to schedule the other appointments in your life. You don’t schedule dentist or doctor appointments during work hours. You don’t agree to a playdate during work hours. You treat your office hours exactly like you would a job if you worked outside the home. Let’s talk about moms at home with little ones. Because it’s easy for me to say that my office hours are from 10-3. Both my girls are in school and I can work those hours and be pretty much uninterrupted. But if you are home with little ones, you will have to be more flexible. You can say that you want to try to get your work done between 10 and 2 and understand that within that time, you may need to put out a bunch of little fires. You can set them up with toys or naptime but you are aware that you have to be available to them for their needs. You simply don’t expect to get 2 solid hours of work done in that 2-hour timespan. I have found that one of the keys to working from home, especially with little ones, is to have a task list. I need to know exactly which projects I need to focus on so that I can simply go right down my task list when I am in my office. If you are at home with little ones who aren’t in school, take a look at the tasks on your list and figure out how much time each task takes you to complete. This way, if you get 10 minutes while your little one is playing with blocks or eating lunch, you can quickly post to Instagram or if you get 30 minutes, you could write an email to your list. The following are affiliate links. We are a participant in the Amazon Services LLC Associates Program, an affiliate advertising program designed to provide a means for us to earn fees by linking to Amazon.com and affiliated sites. 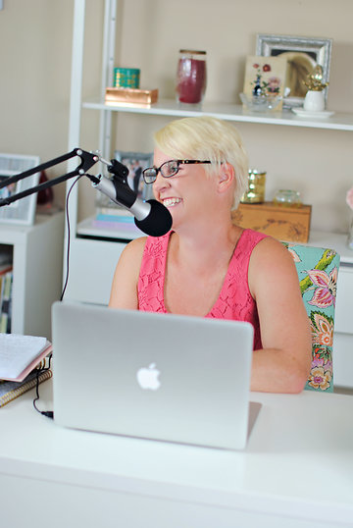 Thanks so much for being a part of Influencer Entrepreneurs with Jenny Melrose. If you repeat tasks every week, like pinning manually to Pinterest or emailing your list, time those tasks and then put them in order of most important to least important. You have to know what it is you need to focus on for the week ahead. After reading the book, The One Thing, by Jay Papasan and Gary Keller, I began to focus in on the one thing I knew I needed to prioritize for every week and ultimately, every day. The main idea is that if you can truly focus in on the one most important thing in your business, other things will begin to fall like dominoes. Doing that one most important thing will cause everything else to move forward. If you are inside my Mastering Your Influence membership or you work with me in any way, you know that I am not always great at this one. Turning off those online distractions is so important if you want to move your business forward. If I looked at your computer right now, how many tabs do you have open? The problem with having all these tabs open is that it’s way too easy to let those things distract you from the work you need to focus on. Do you tend to absent-mindedly open Facebook when you’re supposed to be working? You’re just going to check your notifications really quick, right? The best thing to do when you sit down to do focused work is to open a tab in a completely new window and use the Kill News Feed app on your computer. This app doesn’t allow your news feed* to show even if you open Facebook. *You can still view messages. I recommend turning your phone to Do Not Disturb. Let me share a story with you that is a bit embarrassing but shows you how non-tech savvy I am. Last fall, I accidentally put my iPhone on silent by pushing that side button. Now, I had no idea I had done it or how to undo it. At the time, my girls were sick and I was trying to get a call into the nurse but I couldn’t hear my phone if they called me back. I couldn’t get any text tones. I found myself literally carrying my phone around all the time so that I wouldn’t continue to miss their calls. My point is that you should use that Do Not Disturb button when you are trying to get focused work done…just remember to turn your phone back on. Using the Do Not Disturb feature is great but if you can still see the face of your phone, you will still be distracted by it. When I am at my desk and I am truly focused on a project, my phone is flipped over so that not only will I not hear it, but no screen notifications will pop up and distract me. I do have notifications enabled on my phone so that I can respond quickly to Instagram DM’s or Facebook messages. However, I don’t need those pop-up notifications getting my attention when I am trying to work. This tip goes along with using an app like Pomodoro. The Pomodoro technique uses 25-minutes increments of time but maybe your attention span is longer than that. Maybe you can focus for 35-45 minutes at a time. Or maybe you can only be laser-focused for 15 minutes. Using a timer can help you to focus for whatever period of time you feel comfortable with. You can also use a timer to slowly increase the amount of time you are able to focus. You can work your way up to using the Pomodoro technique but go at your own pace. I need to go into my week knowing ahead of time what it’s going to look like. Every Sunday, I sit down and write out my task list for the week inside my planner. Once that is done, I add to my planner any calls that I have coming up, my mastermind groups, and any appointments I have scheduled. Then, and only then, do I fill in those tasks I need to get done. I personally use a paper planner. I’ve tried using digital planning in the past but I end up wasting a ton of time trying to figure out how to make it work. So I’ve decided to stick with what works for me and that is pen and paper. There are weeks where I have so many calls, appointments, mastermind meetings, and other things scheduled that I can’t fill my tasks into specific time slots. On those weeks, I simply write out my list of tasks by priority and whenever I have a few minutes between calls, etc., I try to knock out a task or two while I have the time. I get how hard it is when your family doesn’t take your business seriously. I well remember the days when I was still teaching and I would try to work on my blog after the girls were in bed at night. I remember Joe looking at me, rolling his eyes, and saying something like, “Oh, are you working on your ‘blog’ again?” And yes, “blog” was always in those maddening air quotes. Be able to articulate what you’re doing and why you’re doing it. You don’t have to be snotty when saying this. Be nice. Tell them what your business is and they will learn to support that business. When you take it seriously, others will, too. I hope these tips will help you to treat your business like a business and will also help you to train your family on how to support you. 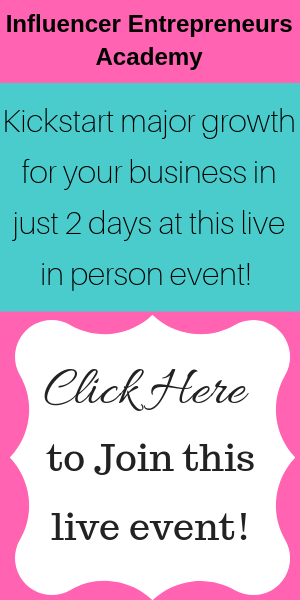 And be sure to comment below and tell me how you make working from home work for you.